Second site visit for Rebuilding Together SF project. Rebuilding Together SF, SheBuilds. 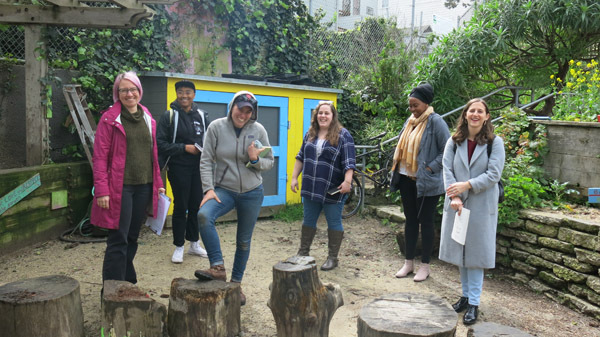 This April, Rebuilding Together San Francisco (RTSF) is working with CommunityGrows to build new garden plots, create a garden classroom, and revitalize the space at Koshland Community Park and Learning Garden. Since 1989, Rebuilding Together SF has “provide[d] home repair and renovation programs for their San Francisco neighbors, nonprofit organizations and community spaces. The work [they] do creates safer and healthier environments,” and this year will be including CommunityGrows as a nonprofit partner as part of their SheBuilds initiative. All Women, No Boundaries. 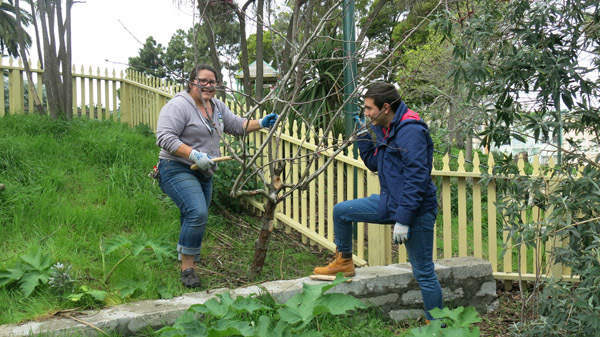 Each year, RTSF hosts an annual event called National Rebuilding Day during which they engage 300-500 volunteers over three weekends in April to make improvements on homes and community spaces around San Francisco. 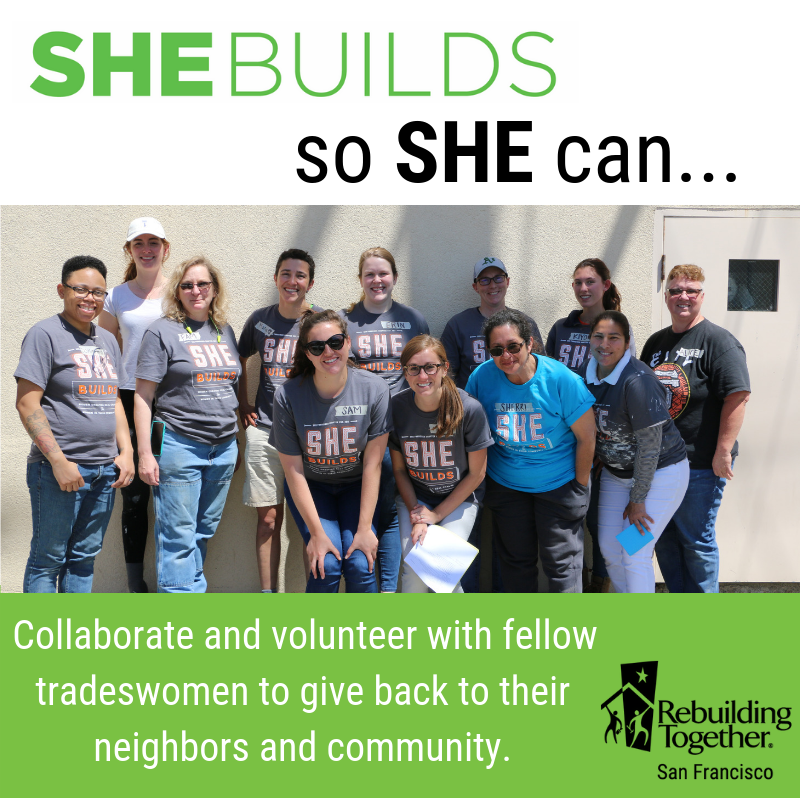 The SheBuilds programs complements the National Rebuilding Day by mobilizing women from different skilled trades, local companies, and partners to tackle projects with volunteer teams powered by women. CommunityGrows is very excited to work with RTSF and the SheBuilds volunteers to revitalize and increase the community and green space at Koshland! The Project. Since the project scoping began back in 2018, the goal for the She Builds/ National Rebuilding Day is to increase the existing green space at Koshland and to build on and revitalize the awesome space that is already there. With the help of the SheBuilds volunteers, we will plant new trees, native plants, and pollinator plants in the underutilized SW corner of the garden; we will build new planter boxes for community gardeners; and we will create a new garden classroom for the students in our Environmental Education and Seed-to-Mouth programs. The project will create a space that will not only be educational for our students, but can be enjoyed neighbors and community members as well! Pruning and clearing some space for new raised planter boxes! And to our amazing educators at Koshland, whom we could not do this without! There’s still a lot of work to be done before the build day, but we are excited and thankful for the amazing team surrounding us and everything that has been accomplished so far!